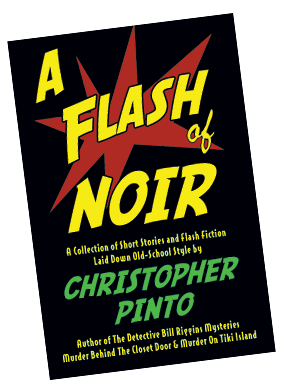 A Flash of Noir is a collection of flash fiction and short, short stories, laid down old-school style by master mystery writer Christopher Pinto. Writing in the genre of gumshoe detectives and sultry dames, creepy horror and hep cat jive, Pinto has put together a series of mostly one-page, 60-second reads that will transport you to another time...a darker, more sinister time. 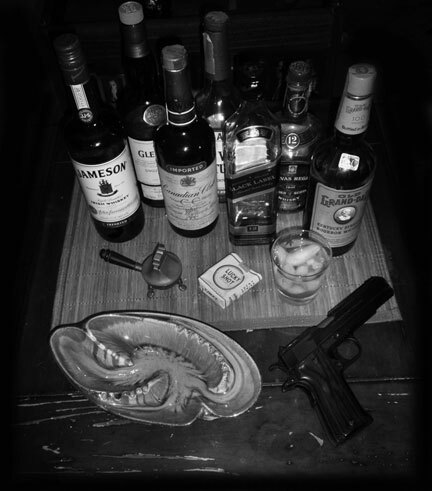 From smokey bars in New York City to the tropical islands of the Florida keys, A Flash of Noir takes you for a spin through the seediest gin joints and darkest alleys. One minute you're speeding down I-95 in a hot rod, the next you're tasting cheap whiskey in a basement tap room where the women are heartless and the men are unforgiving. Gangsters, cops, private eyes, strippers, murderers, phantoms...plus a few comedy pieces to keep you from wanting to slit your wrists. Over 40 stories of crime fiction, ghost stories, retro fiction and short beatnik poetry plus noir-esque original photographs by the author make this a fast, fun read. There's even a flash written entirely of song titles...see if you can list every one!